Here’s a sneak peak at what the future in kids’ furniture looks like. 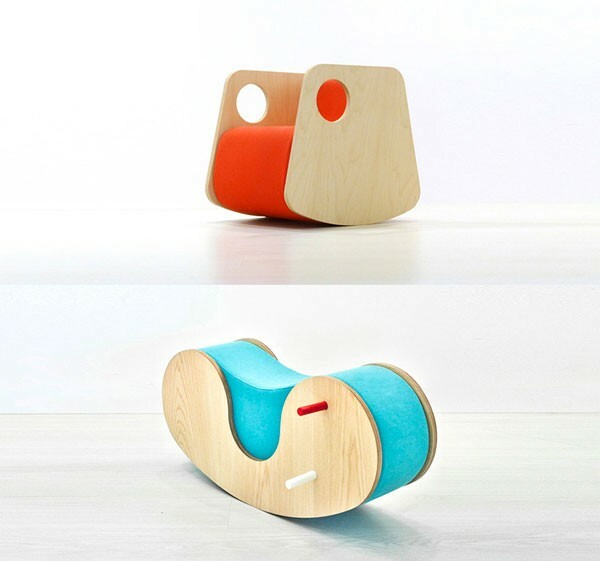 So often, children’s furniture is mini replicas of the adult versions, but Estudio Ji have turned the tables by creating fun and innovative furniture specifically for kids that adults can grow in to. Estudio Ji is a Spanish creative team that specialise in modern innovations in architecture, interiors and design. Their design team of Jorge Frias and Irene Zurdo have created a range of award winning furniture concepts for children and we couldn’t be more inspired. The Egao is a rocking horse that works in sync with busy little bodies to be in continual motion. The minimalistic rocker is shaped like a smile and it definitely puts a smile on children’s faces when they sit on it – or lie, or rock with a friend as their imagination guides them. 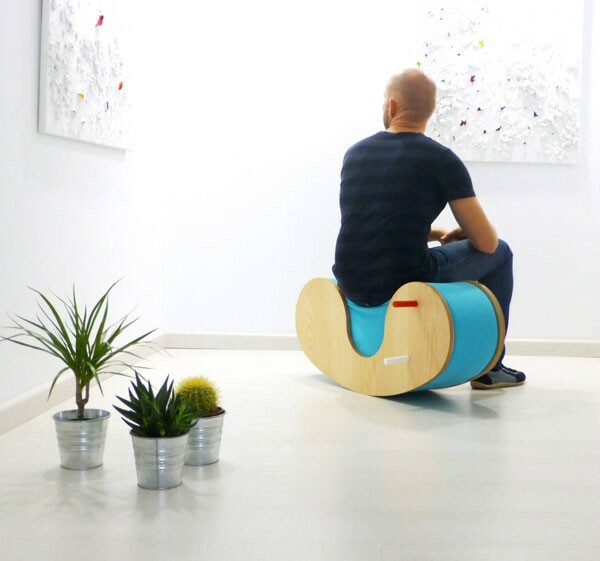 Designed for youngsters aged up to six, it can also be used as a stool for those who are still a kid at heart. The Egao is made from ash plywood and upholstered foam, this rocker is 100 per cent handmade in Spain and comes in a multitude of colours to suit your tastes. Another favourite is the Me Children’s Rocking Chair (pictured at top). Similarly constructed with maple plywood and foam that has been upholstered in organic cotton fabric, this chair provides a smooth, comfortable and safe ride while maintaining an element of fun. Pets will love dozing on this chair and its spacious design (H 49cm x W 47cm x D 40cm) means adults can fit too. Available from the Estudio Ji showroom in Spain, these pieces may not be readily available in Australia at this point but consider this inspiration for the turning tide of children’s furniture. Contact Estudio Ji for more information or follow them on Facebook or Instagram.